The TM800 High Speed has been developed to extend the well-known road performance of TM800, utilising the most sophisticated High Speed technology. The TM800 High Speed is born to continue the well-known road performances of TM800 with the most sophisticated technology of High Speed concept generating the most advanced radial tire for agricultural needs. 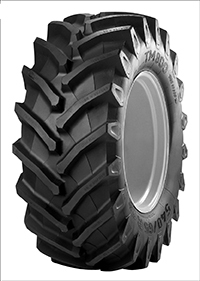 TM800 High Speed handling, grip, comfort and safety, reach excellent levels and is matching perfectly with the technological evolution of modern agricultural tractors, that leads to a great sophistication in terms of construction (front or full suspension system) and higher safety and performances level.